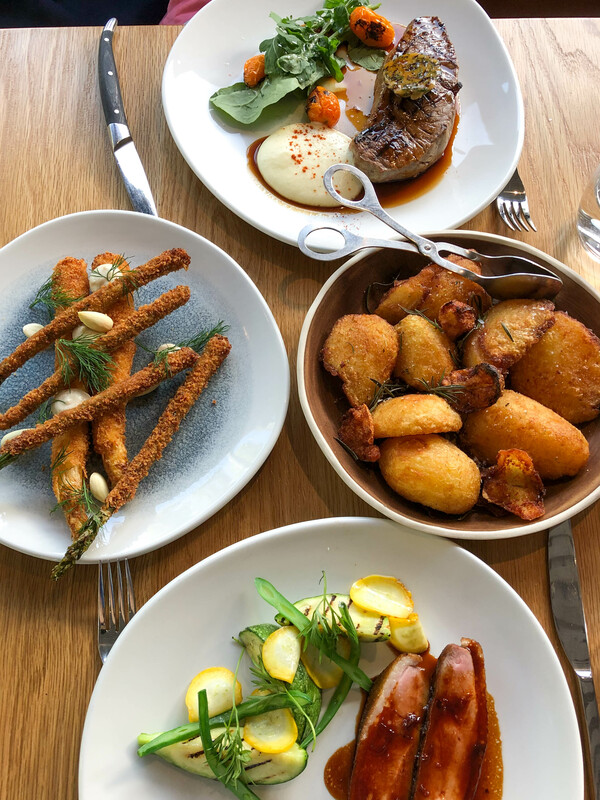 Boronia Kitchen is a culinary gem hidden in the Lower North Shore that’s setting a new standard for suburban restaurants. Simon Sandall, former Head Chef of ARIA Sydney, has created a modern Australian menu that’s packed with options to satisfying every diner. Starters range from the must have Prawn Toast (seriously you have to get this) to old school Prosciutto and Melon. I also recommend White and Green Asparagus, an exceptional dish that highlights both flavour and texture. Mains are split between meat and seafood dishes, all are balanced and thoughtfully created. My Roasted Duck Breast was succulent and paired with baby squash and baby beans. Although you might be tempted to pick the cos, pear salad or sugar snap peas as a side, go for the Duck Fat Potatoes – it’s crispy on the outside and fluffy inside. For a sweet finish, I opted for the Peach Creme Brûlée which was a clever twist on a traditional dessert. The wine list, curated by sommelier Luke Sullivan, spans the globe but has a particular focus on those made organically. Non wine drinkers are also taken care of with several cocktails and beers to pick. If you’re feeling extra celebratory, there’s a 1996 Penfolds ‘Bin 95 Grange’ Shiraz ($880) for guests to splurge on. Non alcoholic drinks including Single O coffee, tea, juices and smoothies are also served. Guests can expect friendly and welcoming service thanks to the leadership of co-owner Susan Sullivan, who’s managed Aria, Chiswick and Opera Bar. Wide windows line the restaurant creating an inviting, open atmosphere in the refurbished building. Boronia Kitchen is versatile and suitable for any occasion whether it’s a casual breakfast or an intimate dinner. Boronia Kitchen is an unexpected delight that delivers on quality food and service.